Purchase this product now and earn 180 MountainPoints! This is a 100% cashmere hat. Fits a 22-23 inch head. Keep your ears toasty warm while letting excess heat out the top when you are active outdoors. 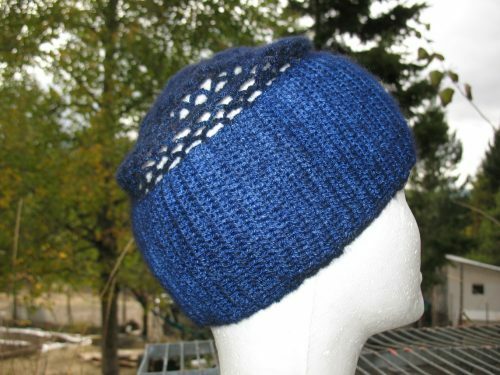 Made from hand spun yarn and hand dyed, then crocheted into a super soft, warm, lightweight hat. Enjoy! This product is totally Made in Montana. The goats are raised here in NW Montana, I comb them in the Spring to get their cashmere, I dehair it here on the farm, and then finish it here, too. This cashmere never leaves the farm until you purchase it. The goats are all raised naturally, no chemicals , hormones or anything but herbs and vitamins are used on them to keep them healthy and happy. They eat hay in the winter and forage in the forest in the summer. 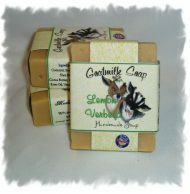 This makes for some incredibly soft, strong fiber that with care, will last a lifetime and get softer with each wearing. I will use USPS Priority whenever possible in the US. if you provide your email address, I will email you the tracking number that evening. Foreign countries will be the flat rate priority. I will refund the product price minus the shipping fee on crocheted and needle felted items once you send it back to me in the same condition you received it in. NO refunds on yarn.